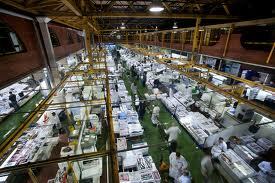 The new word for today that I stumbled upon is billingsgate. Sounds more like a place, and actually is, and that place may or may not be the origin of this word. Google it and have a go yourselves. This word just implies really hurtful, angry language, or rather I should say defined. Yep, that’s it, nothing complicated, just something you can think of if and when someone attacks you with dagger-ous words. For example, maybe your significant other thinks it’s okay to speak to you in a very negative an offending manner. 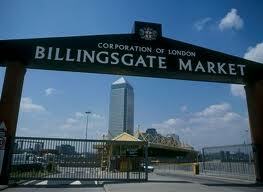 You can sum all of the word vomit the spew on you into one single word… billingsgate. So while you are trying to stay above such nonsensical irrational behavior, think of your attacker as one who is giving you the billingsgate. Kind of funny and any sort of levity never hurts when someone is trying to bring you down. Or will it add fuel their fire? …and you even use bad language to antagonize and abuse one another, billingsgate. These vendors in this market you see are known for their foul-mouthery. 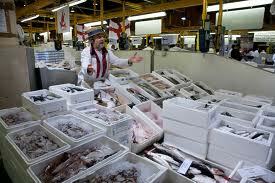 Bad language and fish at Billingsgate market. 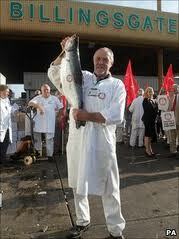 Your world is a Billingsgate market. Guess who the fish are? Before you rush to point that finger of blame my way, try directing it at yourself. Before you unleash your billingsgate, think about what YOU have done to stir up your own hornet’s nest. 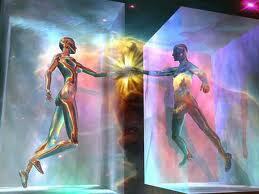 YOU all determine your reality, so stop blaming each other and take responsibility for yourselves. You are fish because you choose to act like a fish. You harbor billingsgate, because you cannot escape the fear inside your ego. Blah, blah, blah, none of you care, none of you listen. Occasionally, the light shines on someone somewhere, but for the most part, 85 to 90%… clueless mumpsimus mutants. And on and on we all go. Detach, deprogram, de-enslave yourselves. Open your eyes. See. Love to all.